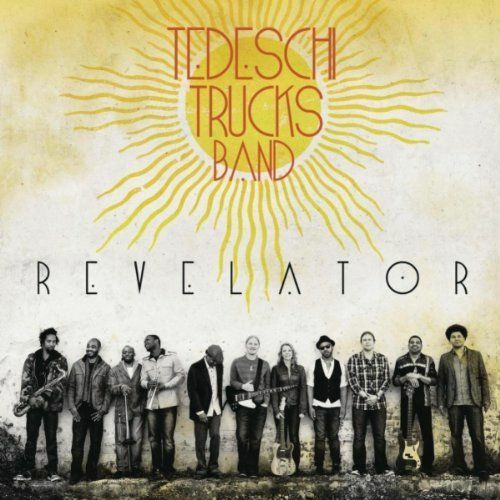 Last night at the GRAMMYs, Tedeschi Trucks Band's debut album Revelator won the 2012 GRAMMY for Best Blues Album. Thanks to all of the many members, collaborators, friends and fans who helped make "Revelator" a reality. Tedeschi Trucks Band is: Susan Tedeschi - guitar, vocals Derek Trucks - guitar Oteil Burbridge - bass guitar Kofi Burbridge - keys, flute Tyler Greenwell - drums J.J. Johnson - drums Mike Mattison - backing vocals Mark Rivers - backing vocals Maurice Brown - trumpet Kebbi Williams - saxophone Saunders Sermons - trombone Revelator was produced by Jim Scott and Derek Trucks, engineered by Jim Scott and Bobby Tis, mixed by Jim Scott, and mastered by Bob Ludwig. Special congratulations are also due to Derek Trucks, Oteil Burbridge, and all the members of the Allman Brothers Band, who received the GRAMMY Special Merit Award for Lifetime Achievement.